Why would I need self storage in Aurora, CO? There are a variety of reasons why you might need self-storage in Aurora, CO.
How much is a storage unit in Aurora, CO? The cheapest storage unit in Aurora, CO is $15.00 per month. What size storage units do you have available in Aurora, CO? In Aurora, CO we have sizes that range from 2'x4' to 30'x30' to suit your storage needs. How much is it for a 2'x4' storage unit in Aurora, CO? The cheapest 2'x4' storage unit in Aurora, CO is $26.00 per month. Aurora is considered part of the Denver-Aurora-Lakewood metropolitan area, and it is one of the largest cities in Colorado. 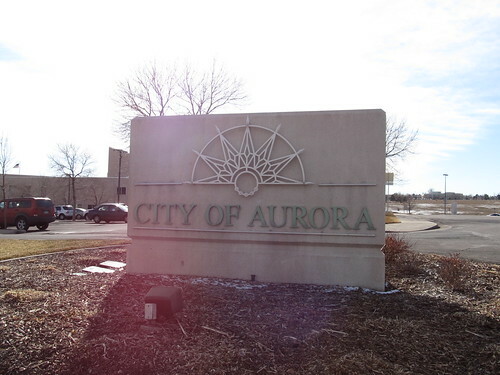 Aurora is home to a diverse population of families and young professionals, and it has been growing at an impressive rate since the early 1900s. In Aurora, nature and the great outdoors are a central focus of the local lifestyle, with thousands of acres of parks and green space, wildlife nature centers and open trails. When it was first established in the 1880s, Aurora was originally named Fletcher for its founding father, Donald Fletcher. However, it was renamed Aurora less than two decades later, when Fletcher abandoned the town after the Silver Crash of 1893. It grew slowly but steadily until the late 1970s, when a huge population boom earned it the title of the fastest-growing city in the U.S. at the time. Throughout its history, Aurora has been closely tied to the United States military, including Fitzsimmons Army Hospital and Buckley Air Force Base. Today, the city is still home to thousands of service members. Because of its proximity to Denver and a variety of job opportunities, Aurora has experienced significant growth in the past few decades. The largest employers in the area include Buckley Air Force Base, local school districts and several medical schools. Ratheon Company, ADT Security Services and Kaiser Permanente are among the large corporations with offices in Aurora. One of the most beloved elements of the local lifestyle is the variety of outdoor and recreational activities, including team sports, kayaking, boating, hiking, fly fishing and many others. You can enjoy Aurora's relatively mild climate in the several thousand acres of public parks and green spaces, or any one of its award-winning golf courses. Aurora's Morrison Nature Center is a protected home for local wildlife, and offers several trails you might be interested in exploring. This neighborhood is named for the 123-acre nature preserve within its borders, Bluff Lake, which is the largest preserve in the entire metro area. The neighborhood is entirely surrounded by a 14-mile trail, which you can walk, jog or bike. Saddle Rock is one of Aurora's most expensive neighborhoods, due in part to its convenient location near downtown, parks and many amenities. Golfers often fall in love with the area, thanks to the large Saddle Rock Country Club. This Aurora neighborhood offers a range of recreational opportunities, boasting a convenient location near several parks, sports facilities and nature preserves. The Cherry Creek Soccer Complex is a multi-million dollar sports facility located in the heart of Cherry Creek East, with regular tournaments and competitive league games on its many fields. Meadowood is a laid-back suburb of Aurora, home to a balance mix of families and young professionals. It's also home to Olympic Park, where you can take advantage of biking trails and several sports fields. Two main districts, Aurora Public Schools and Cherry Creek Public Schools, serve most of Aurora's public schools. Together, the districts manage elementary, middle and high schools as well as vocational and charter schools. You can also explore the area's private schools, many of which are faith-based. Utilities: The city of Aurora administers water and sewer services, and the main electricity and natural gas provider is Xcel Energy. Garbage and Recycling: Curbside collection of trash and recyclables is provided throughout Aurora, and you can request pick-up of yard waste and bulk items. Transportation: Aurora offers public transit via bus and light rail, as well as park-and-ride programs that are popular with commuters. Regardless of whether you're looking to rent or buy, Aurora offers many housing options in various budgets and neighborhoods. The prices vary widely, depending on where you want to live, but the median home price is very affordable compared to the Colorado state average. Our lowest priced units in Aurora, CO average $41.11 per month. 3071 people have reserved units in Aurora, CO in the past 30 days. There are 45 locations within Aurora, CO's city limits. There are 19 locations in Aurora, CO that offer AC and Heating features.